The match number 13 of VIVO Indian Premier League (IPL), 2019 will take place between Kings XI Punjab (KXIP) and Delhi Capitals (DC) on April 1, 2019. The match will be played at Punjab home ground IS Bindra Stadium, Mohali. DC share video of their all-rounder Chris Morris hitting the target with perfection during the training session ahead of their clash with KXIP. IPL 2019 Today's Cricket Match: Schedule, Start Time, Points Table, Live Streaming, Live Score of April 01 T20 Game and Highlights of Previous Matches! DC won their third game of IPL Season 12 against Kolkata Knight Riders (KKR) at Feroz Shah Kotla Stadium. It was a nail-biting match, where the game went on till the super-over. DC defended 10 runs they made in the super-over, thanks to some class bowling by Kagiso Rabada. Kagiso Rabada allowed KKR to make only 7 runs while defending 10 runs. 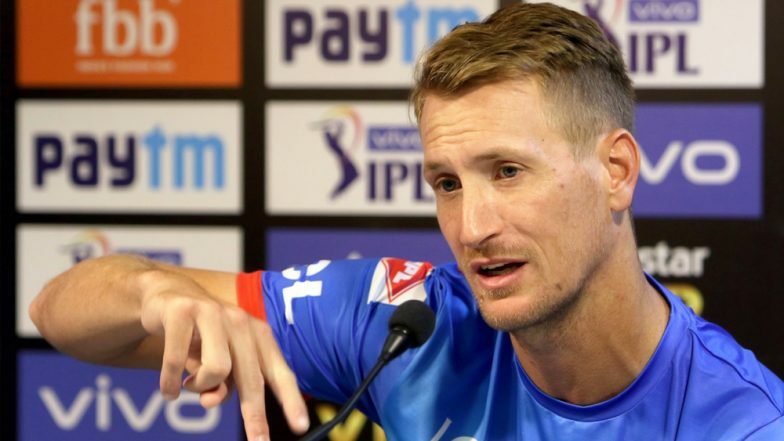 The South African all-rounder Chris Morris made a comeback in the DC team after missing two games of IPL 2019. In the last match, he took the wicket of Andre Russel and conceded 35 runs in 4 overs. Kings XI Punjab vs Delhi Capitals Live Cricket Score 13th T20 Match. Delhi team had a good start to this year IPL compared to their previous seasons of Indian Premier League. DC feature young talented cricketer like Prithvi Shaw who missed on his 100, as he got out on 99 in the previous game against KKR. The game 13 of VIVO IPL 2019 between Punjab and Delhi will be a good contest, as both, the team had fared well so far in this tournament. The players to watch out for will be Chris Gayle, KL Rahul and David Miller from KXIP, while from Delhi's side it will be interesting to see how Shikhar Dhawan, Rishabh Pant and their skipper Shreyas Iyer face bowlers like Ravichandran Ashwin and Mohammed Shami.